Over the course of the last week, I have been working on the final drawings and construction detailing for my project in Ockley. This part of the design process includes construction drawings, setting out drawings and a Scope of Works which will allow the contractor to fully understand the extent of the design and properly quote to carry out the work. 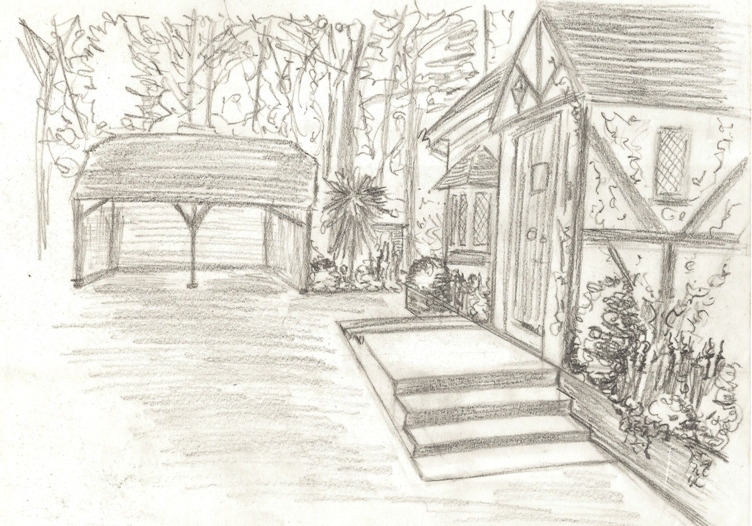 Part of the process is to refine any hard landscaping areas so that the dimensions relate to the materials being used. The new steps outside the front door for this project will be constructed using some of the reclaimed bricks that are already on site, and because the brickwork needs to tie in with the raised bed against the house wall it has been really important to produce a drawing from which the landscaper can work. The model below was worked up using Google SketchUp, a brilliant tool that enables elements of a 2-dimentional plan to be “sketched up” to create a 3-dimentional model. 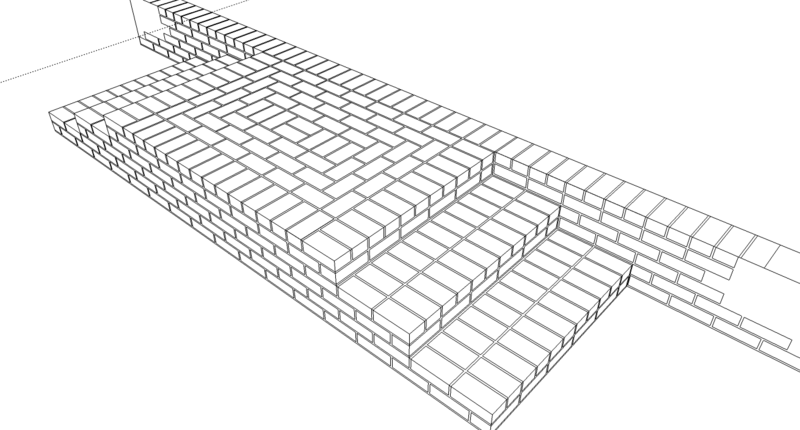 In this case, it has enabled me to work out the finished dimensions and brick patterns of the steps in relation to the dimensions of the bricks that we will be using, and because the image can then be rotated and viewed from any angle, I can really get a feeling for how it will look in reality. You will see that I have worked out the pattern for the top “landing” so that the steps are connected with the wall and all the brick courses tie in. You might be asking why I need to prepare such details for a landscaper who is building this sort of thing all the time. To some extent you are right, as it is the landscaper who is responsible for ensuring that the constructed elements are correctly built and will stand the test of time, but the truth is that if the finer details are worked through by the designer the finished result will take the design to the next level, a garden that is really stunning!